At tonight’s Something Rhymed salon, journalist and literary critic, Arifa Akbar, will be sharing a behind-the-scenes glimpse of her experiences as a literary editor and reviewer. If you would like to join in the conversation, please nab one of the last spots by emailing SomethingRhymed@gmail.com. The Independent Arts Correspondant Arifa Akbar. Arifa Akbar is a journalist and literary critic. She is the former literary editor of The Independent, where she worked from October 2001 until April 2016, as a reporter and arts correspondent before joining the books desk in 2009. She was a judge for the Orwell Prize in 2013, the Fiction Uncovered Prize in 2014, and the British Book Industry Award in 2016. 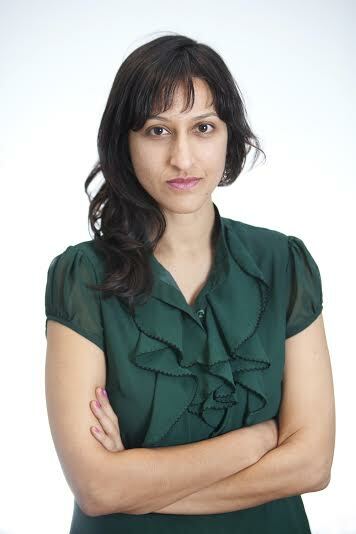 Arifa has chaired author interviews at the London Literature Festival, Foyles, Asia House and the Bath Literature Festival. She is a regular newspaper reviewer on Sky News, and reviews books in print and on radio. She studied English Literature at university and then completed a Masters in Gender Studies, specialising in French Feminism and ‘writing the body’. Nearest tube: Tottenham Court Road. Holborn, Russell Square, Goodge Street and Warren Street are also close by. Disabled access and facilities. Please do let us know if you have any access needs. Our friends at Naked Wines have kindly provided the wines for our salon series, and they are even offering a discount especially for our readers.